This Raspberry Mojito Cocktail may be the freshest drink I’ve ever had. 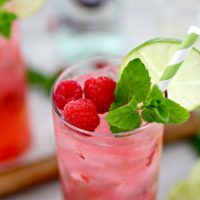 Made with homemade simple syrup, fresh lime, mint and raspberries, it may truly be my summer go to cocktail! Since I started Pour Me a Cocktail, I’ve been trying lots of new concoctions. Can I just say…Best. Job. Ever! I have a couple of mojitos before at restaurants, but wasn’t super impressed with them. So, I decided to try to make a mojito at home with super fresh ingredients, including my favorite Homemade Simple Syrup. I swear, the fresh ingredients make it taste so much better than store bought mixes! I had some raspberries that I had just bought sitting on the counter, and I decided to throw them into the mix. I’m not kidding when I say, this is the most delicious concoction I’ve ever had. The raspberries, mint, simple syrup and fresh lime juice muddled together make this drink so amazing! This is one of those drinks that takes a couple of minutes to put together, but is definitely worth it! 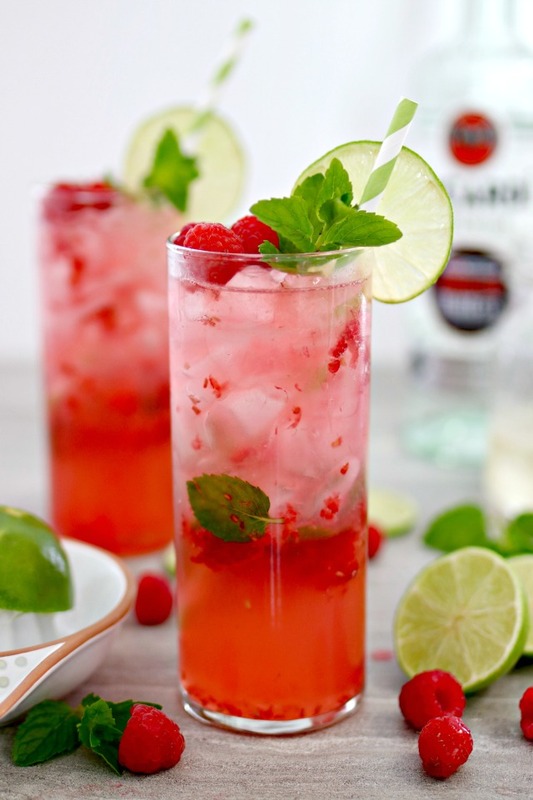 Step 1 – In a tall glass, muddle together 3/4 ounces of fresh lime juice, 3/4 ounces of Homemade Simple Syrup, 4-5 fresh raspberries and 3-4 fresh mint leaves. Step 2 – Add 2 ounces of white rum. Step 3 – Pour in 4 ounces of club soda and mix well. Step 4 – Fill the cup up with ice. Step 5 – Garnish with a slice of lime, a mint sprig and a few raspberries. (Optional) Enjoy! 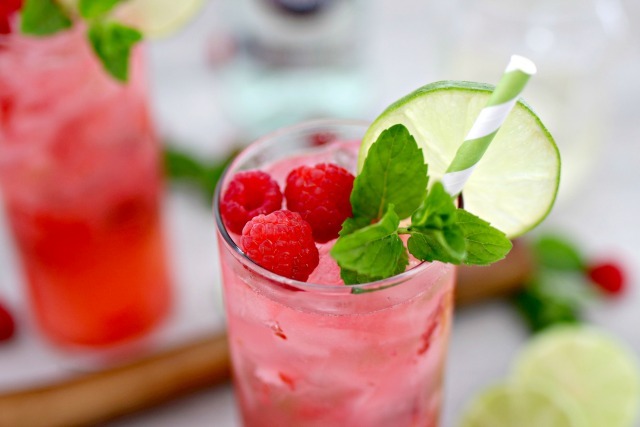 In a tall glass, muddle together lime juice, simple syrup, raspberries and mint leaves. Add white rum and club soda, and mix well. Fill cup with ice. 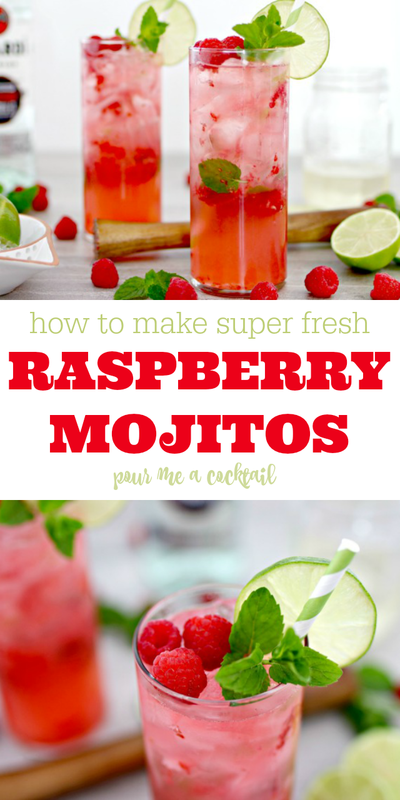 Garnish with a lime slice, raspberries and a sprig of mint. 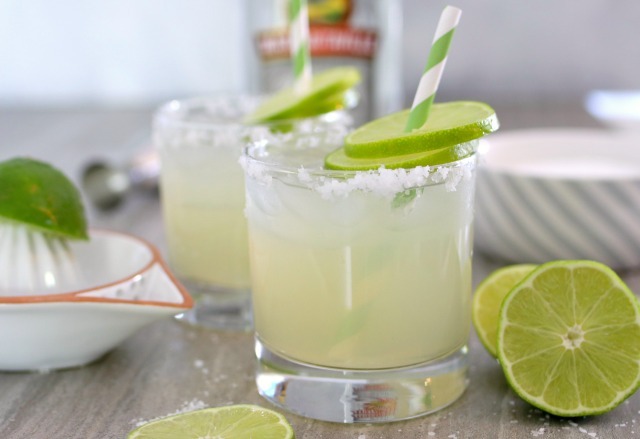 This Super Fresh Margarita is perfection. It’s made with fresh ingredients instead of that stale store bought stuff…you will love it! 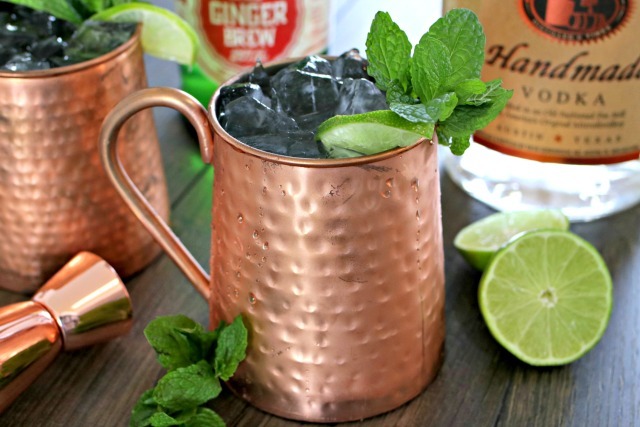 The Classic Moscow Mule may look super fancy in its copper mug, but it’s so simple to make and so refreshing! You don’t even need the fancy mug…any glass will do! 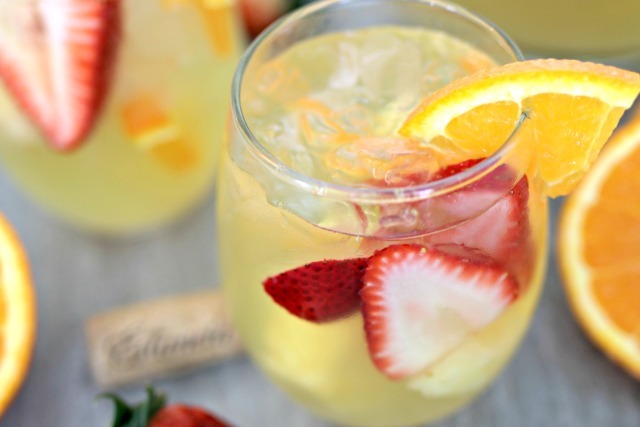 If you are serving a crowd or just love sangria as much as I do, my Tropical White Wine Sangria is so delish! Made with fresh ingredients, coconut rum and a splash of Orange La Croix, it will take you straight to the islands!